We are happy to announce that we soon will be able to offer a 84 inch, a very large transparent lcd screen which is based on a 4K Sharp LCD screen. More info regarding tech specs and lead time to be announced early October. Price per panel £ 16,408.00 (excl. VAT and delivery). Touch frame price: £ 1,689.00 (excl. VAT and delivery). 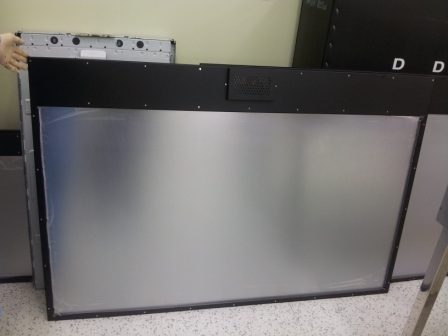 Click this link for more info on transparent LCD Screens and touch frames (sizes and prices).